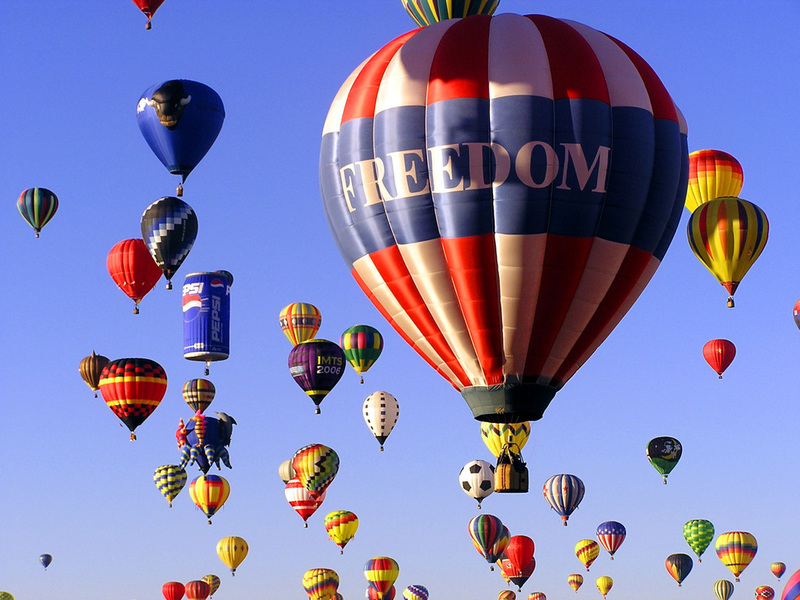 What does the word "freedom" make you think or feel? What images come to mind? Is freedom from addiction actually possible? Can you even imagine that? As you imagine that right here ... seeing your future free from addiction ... you are already on your way in this very moment. Weak ... Hopeless ... Powerless ... Those words, concepts or feelings will completely fade away and become part of your past. Pretend those bad feelings and habits can float away in those hot air balloons. Those negative emotions ... moving far away from you ... making room for all that is good and new in your future. Strong ... Healthy ... In control ... That can be your new reality starting now! This is the new way for relapse prevention ... the permanent way. All the wonderful things other people experience in life can be yours, too. All you have to do is decide to change - your mind, your brain, your life - to end your addiction for good! Lose those cravings when you learn new behaviors by changing your neural pathways! Together, we will create your new, successful life, because you can. The truth is, your thoughts create your reality. How you speak to yourself affects your behaviour and every aspect of your life. Every time you repeat, "I am an addict" or "I am an alcoholic," you reaffirm that belief deep in your mind and you are completely unable to believe that you are anything else. Theories abound that substance abuse is caused by genetics or a diseased brain but more often than not substances are used as a coping mechanism. Any behaviour that is repeated over and over again becomes "hard-wired" in the brain. The good news is behaviour can change permanently and neural pathways can be rewired for new actions. ​Using an advanced protocol based on the newest discoveries in science, your brain's own neuroplasticity and a combination of modalities including mindfulness and hypnosis, the issues that brought you to addiction and keep you there will be addressed. Most importantly, the triggers that keep people in the addiction cycle are changed - for good - preventing relapse and allowing you to live life free from substances as you never believed possible. The mind and behavior modification techniques work to permanently and quickly retrain and recondition addicts at their core to successfully create new beliefs, behaviours and happy productive lives. 12 Step programs do not work for most and all too many rehab programs fall very far short of expectations. Some people comfortably quit their substance after only one session and stay addiction free! Michelle has taken classes in neuropsychopharmacology, neurology, amino acids and studied several different methods of relapse prevention to ensure a successful outcome. She utilizes other advanced methods to address all issues - past and present - that may have contributed to your substance abuse. Only your intention to stay substance free and doing your part will create a life free from Addiction! Since Michelle is not a doctor but a medical hypnotherapist, she works with an integrative medical doctor and a naturopathic doctor, if you do not have a physician. She also may recommend an acupuncturist or a nutritionist as supporting therapies for your comfort. * Detox may be needed depending on your situation as this program is not a substitution for detox.